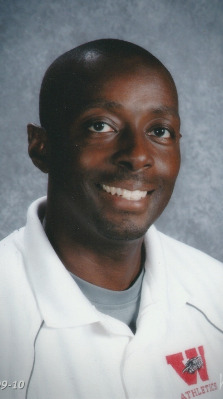 My name is Shurrod and I am the founder of Coaches Corner Athletic Apparel Distribution. It's purpose is to empower coaches and any other person who would like to receive quality sportswear and equipment with ease. I was once a coach; in fact, I taught and coached for over 13 years. One thing I hated most was having to order apparel for my team and then distribute the product when it came. There would ALWAYS be some issue that would arise with this task. Either what I ordered was on back-order and the rep didn't inform me, the items were dropped off with missing pieces, or students simply didn't get what they ordered. Inevitably, someone would get upset and I would get the brunt of the frustration. We won't even discuss problems when it came time for the bill to be paid. I decided to do something about it so my fellow coaches would not have to endure these hardships any longer. My purpose is to take the burdens off of coaches so they can be free to do what they do best...coach! So look around the site and see how Coaches Corner can benefit you!